And to spell correctly, which I did not on Finding Vegan. However, I can forgive myself for spelling espresso with an x. A reader pointed out my mistake the other day (I think I irritated her with my mistake – sorry reader). Heck, I’m lucky if I get to blog at all because I spend every bit of awake time I can with my little bambino, who turned 11 weeks yesterday and is turning into a little man before my eyes. I’m surprised I can spell anything these days. 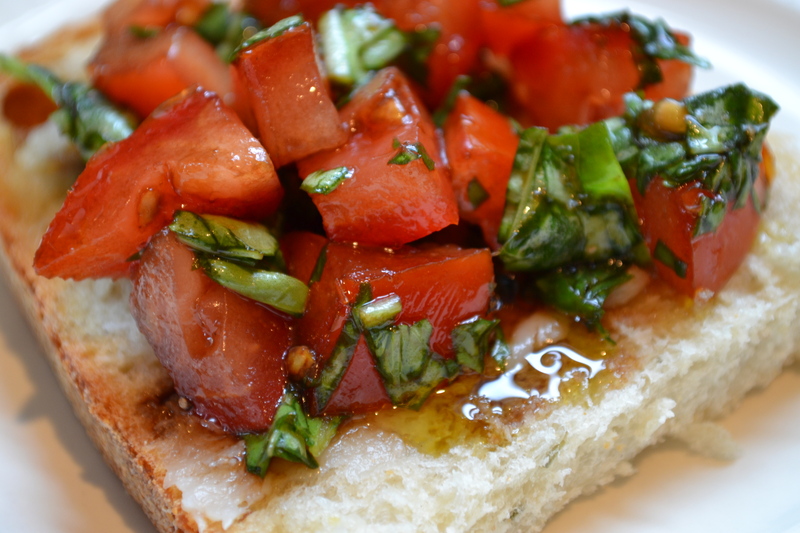 I hope I spelled bruschetta right. According to Wikipedia, I did. I must share my new favorite food ever. I can’t stop eating it. I ate it today with my mom. It is bruchetta. 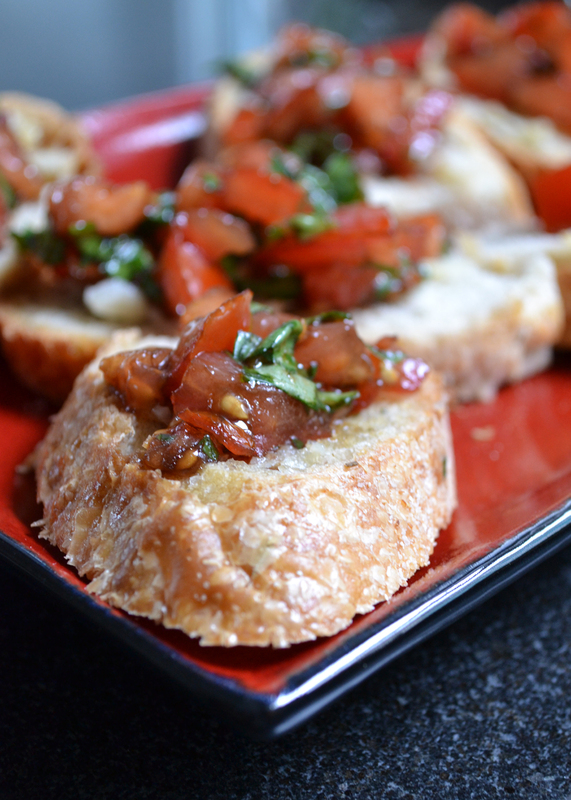 Ooops – I mean bruschetta. It is so simple. It is positively yummy. 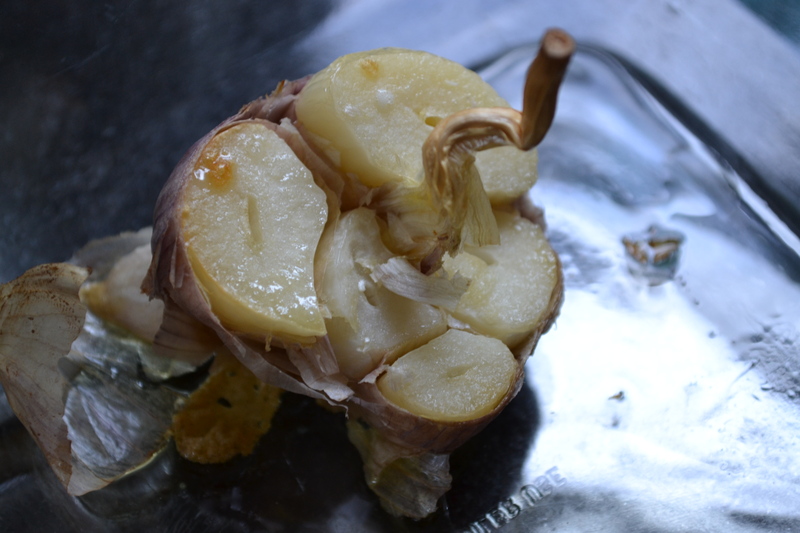 Slice the garlic bulb in half, drizzle with olive oil, and roast on 425 for about 20 minutes or until soft. The cloves start to get soft and pop out of the garlic skin (I don’t know what the paper-ish covering on garlic is, so I’m calling it skin). 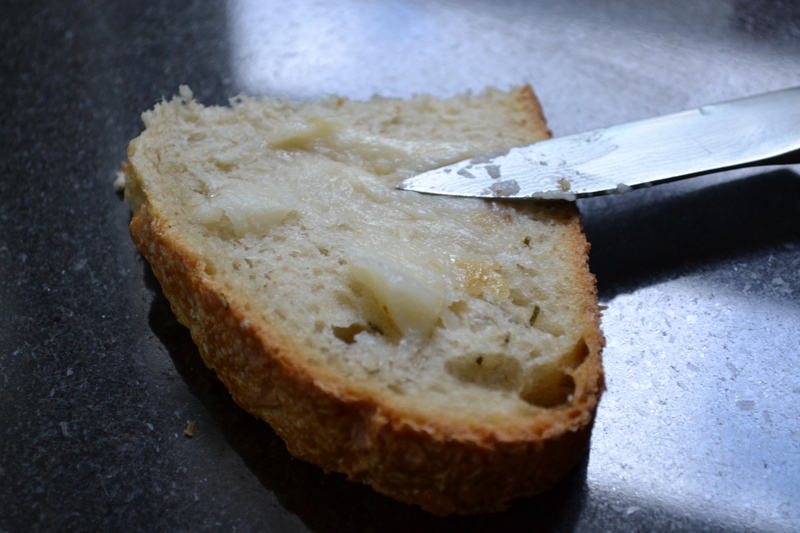 Spread the roasted garlic on the bread. 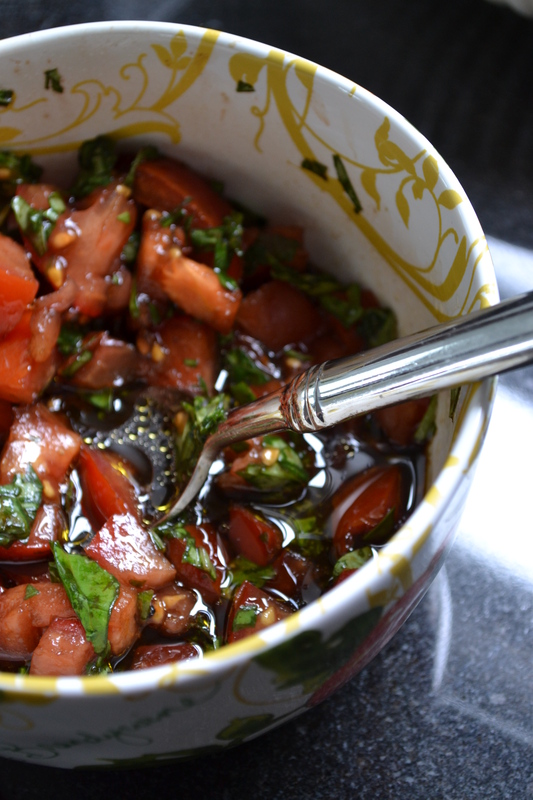 Mix the chopped basil, balsamic vinegar, oil, salt, pepper and chopped tomatoes. Put the mixture on top of the bread and garlic. That is it! Oh my goodness. It is so delicious. Congrats on having your picture accepted! Way to get your word out there. Doesn’t balsamic making everything better? Yum! Thanks! It totally does! That and spreading garlic on bread. OK anything on bread. Or just plain bread. Yum! Fresh tomatoes are almost here and I can’t wait to make this. I never roast garlic and need to start doing that, so this is awesome inspiration. my spell-check tip: Google chrome. it gave me red squiggles under 4 words in this comment before I finished! I can’t get enough of roasted garlic! I swear I must smell like it. I can’t wait for those tomatoes either. Just put my seedlings in a week or so ago.